← You might be an entrepreneur if . . . I was just reading Peter Thiel’s fascinating new book, Zero to One, in which he argues that the best startup businesses strive for a game changing technological breakthrough. Rather than work on small incremental enhancements, entrepreneurs should seek out quantum leaps that enable their companies to enjoy monopoly profits. Think Google. Not the 42nd e-commerce startup selling pet toys. But how do you come up with that brilliant idea for a new venture or pivot for an existing one? The break through that no one else sees hiding in plain sight? Easier said than done, right? You can’t force creative thought. Sitting at your keyboard with a furrowed brow won’t do it. (Paul Graham agrees in this brilliant post in which he talks about the difficultly in trying to force start up ideas out of your head). Instead of trying to be creative, I’ve discovered a process by which creativity simply happens. It has helped me immensely in my career. I hope it can help you too. Here it is. Step 1. I fill my head. To get good ideas out of your head, you need to fill it with information first. Seems pretty obvious, right? Garbage in: Garbage out. For example, whenever I consider a new start up concept, I read about the market. I study the competitors. I talk to people about the problem I’m trying to solve. I debate with my co-founder. I study more competitors. I talk to more people. I draw pictures and diagrams. I totally immerse myself until the stuff I’m reading and hearing starts to repeat itself like Bill Murray’s life in Groundhog Day. In short, I try to become an expert. This is sometimes hard and tedious work, but it is the important groundwork needed to make the rest of the process work. Step 2. I go running. Yep. I lace em’ up and head out for a run. And ideas—lots of them—just sort of magically start popping in there. My brain feels like it’s percolating. Running is the way that I unhook my brain and allow for it to sort of unconsciously process things for me and put things together. 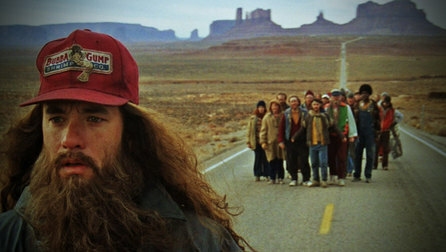 I can’t imagine working on a tough challenge without channeling my inner Forrest Gump. You hate running? Don’t despair. Something completely different might work for you. For example, I get the same experience on airplanes. No idea why. Thankfully I discovered running because taking a flight every time I need to get my creative juices flowing would get pretty expensive. Maybe for you it will be taking a shower. Or mowing the lawn. Or going for a walk. Try to remember the last time an idea popped into your head. What were you doing? Be on the lookout for an activity, a time of day, or some other combination of things that helps you leverage that unconscious processing power of your brain. One important tip—don’t focus on any specific problem while you run or shower or mow the lawn. Just unhook, disconnect and let your brain bring what it wants to the surface. The second you try to consciously figure something out, the magic percolation will stop. Many times the flashes of creativity I get have nothing to do with the current problem I was working on. The key is to just let go and let the thoughts come by their own volition. When I come back from running, I often have several ideas to jot down. Sometimes I even stop along my run and plug a note into my iPhone to ensure I don’t forget it (I carry it on runs to track miles and pace). Some of these ideas, in the heat of the moment, seem brilliant. But I’ve learned to that I need to let them rest before I pass initial judgment. After I’ve gained some perspective (and a hopefully a shower), I return to those ideas scribbled on the page. And I apply a couple of basic tests. First, I read them sitting there on page. Lots of my ideas don’t pass this first test. Some of them feel just plain dumb and I wonder what I was thinking. But some ideas still resonate. I take those ideas and go to my second test—I pitch them. Usually my wife bears the brunt of these socialization sessions. 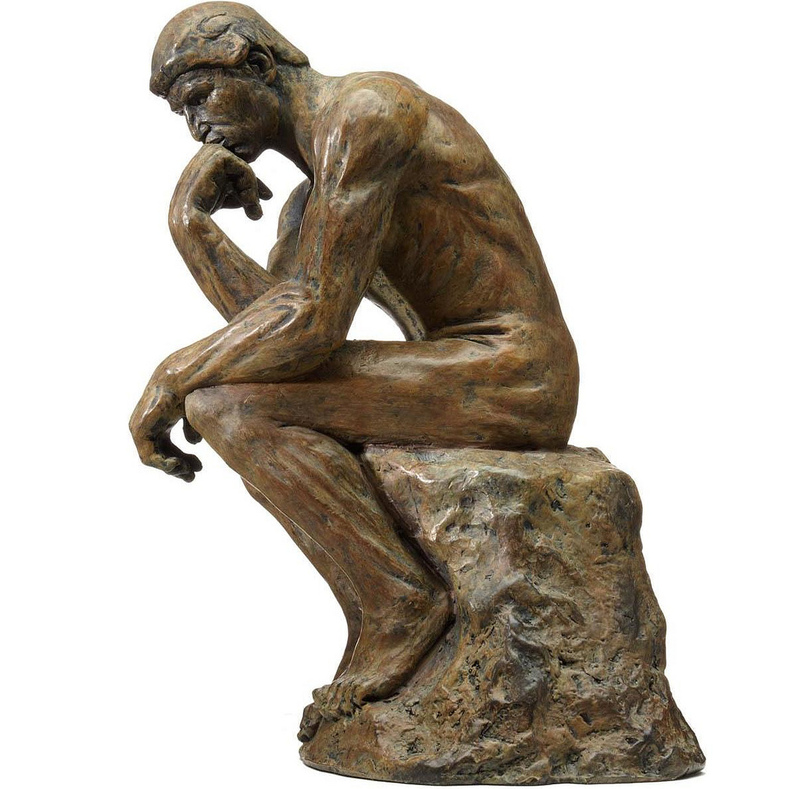 There is something about pitching an idea out loud that provides a different test than just noodling it in your brain. Does it sound good out loud or does it fall apart under the bright lights of an audience? If the idea still feels interesting, the fun work begins. A final tip here—when socializing your idea pick someone you trust. The focus at this early stage is more about how the idea sounds to you rather than the reaction you get from a single person. There you have it. Do the hard work of learning how your world works. And then find that one thing that enables you to be creative by not trying. Your brilliant ideas are laying there, just waiting for you to figure out the right way to make them percolate up into your conscious thought. Good luck! *Post script: If you want a more academic look at the subject of creativity, a great place to start would be at this post from Brain Pickings covering Graham Wallas’s work on creativity. I found it after drafting this post, and was happy to see my process roughly tracks Graham’s four stages of creativity. Pretty cool.